A quick note on behalf of ThinkBIM™ and the BIM Day Out 2013 Committee to wish all our friends, followers and family a very merry “BIMmas” and seasons greetings as we move into a new year. 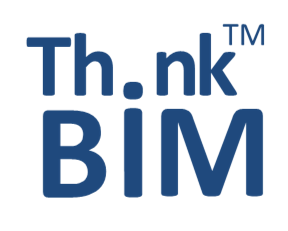 Both ThinkBIM™ and the BIM Day Out are looking forward to some exciting announcements for 2014, so watch this space!!! Also, we have slowly been editing the hours of footage from BDO1.0, some of which you can now see at the 2013 presentations page here. Lastly, a big plug for the team at BIMobject who have posted this great OpenBIM Xmas tree object. Available in all the major flavours of BIM including IFC, its an ideal virtual stocking filler for that hard to please BIM manager or to hide inside your latest project for an unsuspecting QS to find. And whats more, “for every download between now and Christmas (BIMobject) will donate 1 Euro to the organisation “Children of the World”. Now thats a very Xmas thing to do! This entry was posted in BIM Collaboration, BIM Conference, IFC on December 20, 2013 by rumbelom. As I predicted early last month in another BCF post, Matteo Cominetti of the amazing (and FREE) Teocomi BCF plugin has released his first product under the Case Design Inc banner; a free BCF Exporter for Autodesk Navisworks Manage 2014. Think about it. Navisworks, Solibri, ArchiCAD and Revit all playing nicely in the same virtual construction space. OpenYOURMINDBIM! 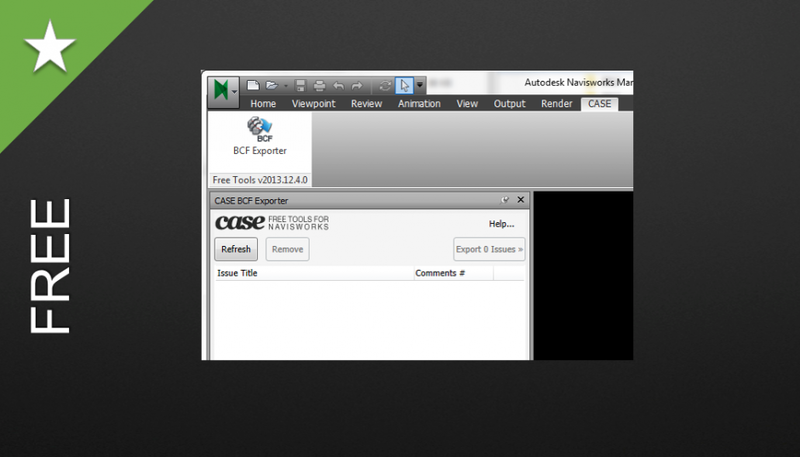 BCF Exporter for Autodesk Navisworks Manage 2014 is a free tool by CASE. The BCF Exporter allows to export issues found in a Navisworks project according to the BIM Collaboration Format standard by BuildingSMART. The BCF Exporter will export the Saved Viewpoints of the current project and the associated comments to a single BCF report file (.bcfzip). Open the Navisworks “Saved Viewpoints” panel by checking View>Windows>Saved Viewpoints. Viewpoints can be either generated automatically from a Clash Detective result: from the “Clash Detective” panel on the “Report” tab set the “Report Format” to “As viewpoints” and click “Write Report”. Or manually by right-clicking in the “Saved Viewpoints” panel and then clicking “Save Viewpoint”. Open the Navisworks “Comments” panel by checking View>Windows>Comments. Comments can be added by right-clicking on a Saved VIewpoint and then clicking “Add Comment”. Comments can also be automatically generated during the generation of the clash result. By default the snapshot of the BCF Issues will only be 256x256px becaus of a hidden Navisworks setting. In order to change that click on the main Navisworks menu button and then holding the SHIFT key click “Options” (this will give you access to the advanced Options Editor). From here click Export>lcodpimage and set desired height and width. From the “CASE” ribbon panel click on “BCF Exporter”, to update the list of issues after editing the Saved Viewpoints click “Refresh” on the “BCF Exporter” panel. The Refresh button will take all the Saved Viewpoints and flatten them to a list displaying Title and number of comments.To exclude one or more issues from the BCF report select them and click “Remove”. To finally export all the issues to one BCF report click “Export Issues »”. All of the tools listed on this page are installed as well as updated from the CASE Add-In Manager. This entry was posted in Uncategorized on December 16, 2013 by rumbelom. My big prediction for 2014 is even more announcements and developments regarding point cloud scanning (or reality capture) and building information modeling. With 99% of construction projects reliant on accurate information of existing conditions, hazards, infrastructure and assets, integration of fast, reliable, and realistic information and geometry is becoming critical to project delivery and efficiency. Geelong Town Hall, Victoria. Courtesy of Leica point cloud scanner. The below Youtube is with thanks to Gene V. Roe at LiDAR News who was able to grab a few moments during AU 2013 with Beau Turner and Matt Mason from IMAGINiT. Cheyne Bird, Redstack Australia: Go with the (work)flow. 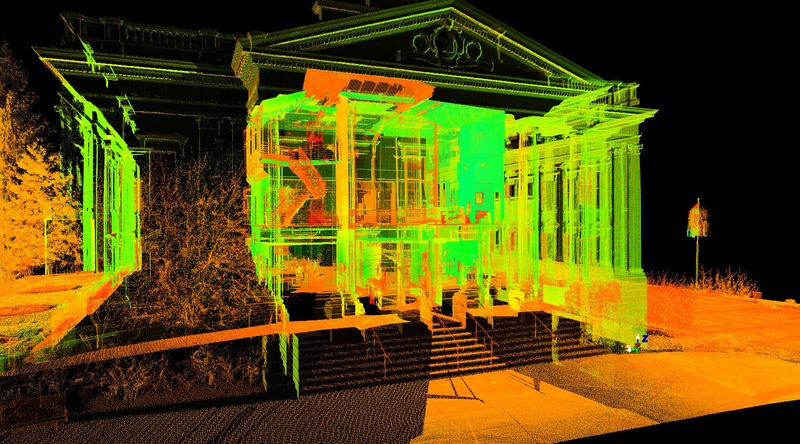 How to use point cloud data in your BIM. 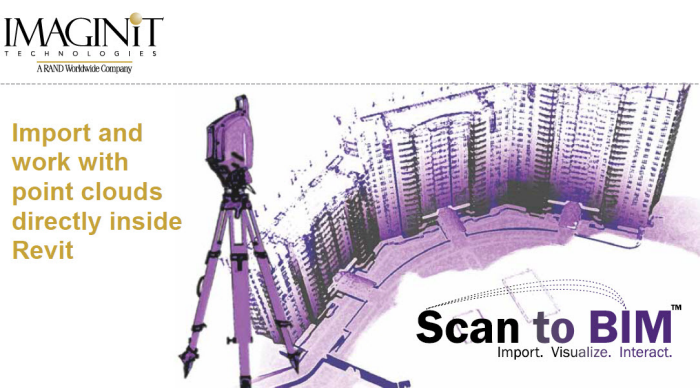 Scan To BIM: Redstack Pty Ltd. This entry was posted in BIM in Construction, BIM Visualisation on December 11, 2013 by rumbelom. Going with the (work)flow for AEC. A recent blog post by an AEC practice software vendor focused on the benefits of workflow management. Is workflow the new buzzword and possible savior for all struggling AEC firms out there? Forget BIM, forget IPD, forget LEED. What do we want? Workflow! When do we want it? Now!! Well, if you do, here are some of platforms that are claiming to “go with the (work)flow” for AEC practices. New on the scene is WorkflowMAX, which (from what I can see) is job management software developed by the clever kiwi’s behind “the most beautiful accounting software” Xero. WorkflowMax is a subscription based cloud hosted service. There are no long term contracts. You simply pay month-to-month. If you cancel you will be billed for the current month, but you won’t be billed again. They claim that WorkflowMax is the perfect fit for advertising agencies, web designers, print designers, video producers, photographers, sign writers, copywriters and anyone in the creative industry. They also cater for professional services clients, such as lawyers, barristers, engineers, consultants, government policy advisors, surveyors and government departments amongst many others. ** Union Square was a sponsor of The BIM Day Out. Union Square Software is excited to launch its latest product; the Workflow Store. This free tool, available to all Union Square customers, allows companies to download small applications to run via their Union Square system. These applications (or “workflows”) offer an easy shortcut way to access a variety of functions, such as sending and sharing documents, logging non-conformance on projects and supporting the decision to bid process. So what is it? Well, at this stage I am not that sure. Further information on the Workflow Store can be gained by speaking to your Account Manager … apparently. However, from a BIM point of view Union Square is currently the only practice management and financial system with Revit connectivity. (Hence their support of The BIM Day Out). Home grown practice management software recently blogged about their workflow “benefits” and secured a seat on the bandwagon. Total Synergy have been a regular feature of many BIM events, notably the last 3 Revit Technology Conferences, and most recently hired ex-Graphisoft BIMmers to lead the sales team. Alas they still don’t have any BIM connectivity to speak of. What they do have (more importantly I would expect them to say) is connectivity to popular accounting AEC packages like MYOB, Reckon and of course, Xero. Want to play with a “big boys toy” like Deltek Vision but without the enormous implementation (and training) costs, then check out the offer from Management For Design. M4D provides a privately hosted Deltek Vision implementation, and provides accounting, IT and business planning services to support architecture and engineering practices. Deltek specializes in resolving these challenges with architect project management software that is built from years of experience improving the performance of AEC firms. We help AEC firms profitably manage and grow their business with tools that help win new projects, build the right project portfolio, capture and share project/financial/marketing information; meeting financial governance standards, manage resources and control costs. With Deltek’s architectural project management software, you can rest assured that deadlines are met, processes are streamlined and the business is moving forward. Comprising of solutions that span Customer Relationship Management, Business Performance Management, Financial Management, Human Capital Management, Resource Planning, Project Management and Business Intelligence, your AEC firm can finally breathe easy that industry challenges are no match for your firm’s profitability. This entry was posted in BIM Collaboration, BIM Software on December 5, 2013 by rumbelom. Merry XML XMAS from Kubus! Merry XML XMAS from Kubus. The new and improved BCF Manager is now available at a special price of $US39.50 until the end of the year. Newest versions is v1 r3. Now you can now fold the main dialog for an improved work-area, use zoom at a snapshot image and create & edit up to 10 issues without activation key. You will receive an activation code, which you can use to activate the BCF Manager for Revit or ArchiCAD. OSX 10.9 Mavericks has new features which initially block our software installers. Our software is carefully monitored and thus reliable. The BIM Collaboration Format (BCF) is currently a pre release, submitted to buildingSMART under the new “Affiliaton Scheme” to become an official buildingSMART specification. Tekla Corporation and Solibri, Inc. have introduced to the buildingSMART organization an idea of using open standards to enable workflow communication between different BIM (Building Information Modeling) software tools. These firms have developed such a XML schema, called BCF, to encode messages that inform a software package of issues found in the BIM model by another software tool. The implication is that only those issues and not the entire BIM need to be communicated between software and that this simple capability will enable a degree of collaboration. This XML schema and capability have already been built into several software package including, Tekla Structures, Solibri Model Checker and DDS Architecture. Initial experience shows that it would provide a much improved workflow as well as a reduction in the transfer of large BIM files over the internet. This is an example of unexpected innovation that buildingSMART must cultivate and encourage. The original developers wish to transfer the ownership and rights of the BCF schema to buildingSMART for adoption as an open standard and maintaining it for the benefit of the industry. This entry was posted in BIM Conference, BIM Software, BIM Standards on December 5, 2013 by rumbelom. One of the founding supporters of The BIM Day Out, IMAGINiT Australia, has today rebranded as Redstack™ “Thinking by Design”. Redstack™ provides software, services, training and support. It will act as the exclusive partner and reseller for IMAGINiT Technologies, providing products and services including Scan to BIM, Clarity for Revit Server, Utilities for Revit and ProductivityNOW eLearning. “The Australian division of IMAGINiT Technologies – a leader in providing technology solutions to businesses with engineering, architecture and design capabilities – will rebrand as Redstack™ on December 4. The rebrand follows the company’s growth and success in the Asia Pacific market, and marks a strategic intent to grow local market operations while leveraging successful global partnerships. Redstack™ will continue to exclusively resell IMAGINiT Technologies products and services. “We are very passionate about improving our clients’ productivity so they can compete globally,” Mr Lachs said. Sales director Phillip Amato said the new brand would assist Redstack to develop the Australian business. “This change is a logical step in our succession and gives us an umbrella under which we can continue to expand our capabilities and locations during our next phase of growth and development within Australia,” Mr Amato said. “As the original owner of the business and managing director for the past 15 years, I am excited we will once again be 100 per cent focused on the Australia and Asia Pacific regions,” Mr Lachs said. Redstack™ provides software, services, training and support. It will act as the exclusive partner and reseller for IMAGINiT Technologies, providing products and services including Scan to BIM, Clarity for Revit Server, Utilities for Revit and ProductivityNOW eLearning. In addition, Mr Lachs said Redstack™ had developed partnerships with similar organisations in the Asia Pacific region who will also carry the Australian-developed Redstack™ brand. “This is great news for Australian engineers, architects and designers who can continue to receive the benefits of global resources while partnering with an Australian business for local service and support they can rely on,” he said. The new, responsive Redstack™ website also launched today: redstack.com.au. Marketing specialist Rob Fischer said the new website visually represented the company’s innovative solutions, while delivering high-level, detailed information and powerful resources for clients. “The new brand and website reflect our ability to deliver productivity and innovation with creative solutions that bring order to chaos,” he said. “We have a range of products and services that achieve this for clients across a range of industries. Redstack™ has planned a number of brand launch activities. Register for launch activities, including a webinar and live events, atredstack.com.au/events. Special software and training offers are also available from December 20 to January 24, including 25 per cent savings on Autodesk software and 20 per cent off scheduled training courses. For more information, phone 1300 667 263 or go to redstack.com.au. Redstack is a registered trademark of Redstack in Australia. Any and all trademarks making reference to or related to IMAGINiT Technologies or IMAGINiT Clarity, are registered and/or owned by Rand Worldwide, Inc., and/or its subsidiaries, affiliates, and/or other legal holders. This entry was posted in BIM Conference, BIM Software on December 4, 2013 by rumbelom.